Like all Beanie Babies that were apart of the 1st generation, Blackie The Bear versions with the 1st generation hang and tush tag can be worth money. Finding a 1st generation Blackie can be somewhat challenging, but getting one from another generation is quite easy. The only Blackie Beanies that have any real value in the current market are 1st generation or some 2nd generation ones. Typically Blackie’s with 1st generation tags can sell for over $100. Recently an Authenticated 2nd Generation Hang Tag – 3rd Generation Tush Tag Blackie only sold for $24.99 on eBay. 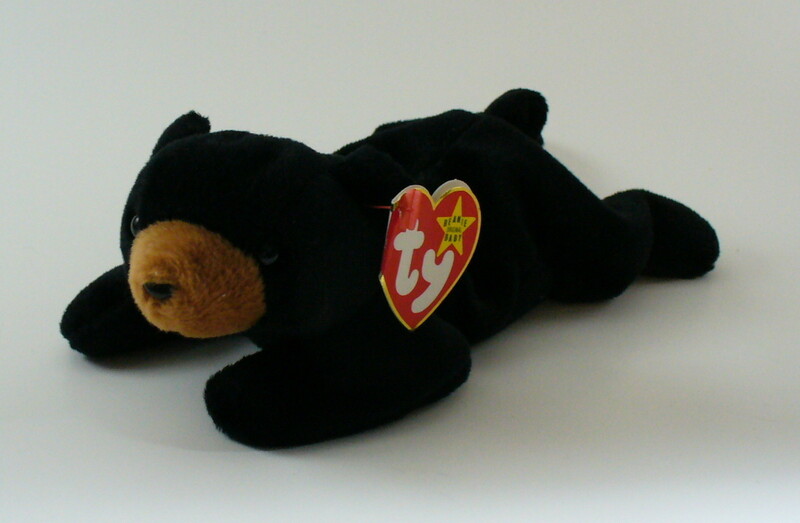 It typically costs around $10-15 to get a Beanie Baby authenticated so you can see even nice Blackie’s that aren’t the 1st generation versions are not worth very much. The Chicago Bears and Boston Bruins have done promotions giving away a Blackie Beanie Baby and some of those can be worth $5-15. Those promotions were done in 1998. The 1st generation Blackie Beanie Babies are the only ones worth something. Be sure to check your Beanie Tags to know which version you have.